Every assisted living facility benefits from upgrading its services in the wake of intense competition in the market. For assisted living home owners, staying relevant requires a watchful eye on current trends and implementing strategies that clearly enhance the vision of the business. These 10 tips to keep your facility up-to-date are important elements to include in your business plan. Market research provides data on the needs of your consumers. Use this knowledge to devise a marketing plan of amenities that is currently unmet by competitors. Find practical market research resources in trade magazines and on the Internet to help you conduct successful analyses of trends within your industry. A strong competitive analysis will help direct your marketing efforts and recruitment strategies. Investigate competing communities to determine the nature of their brand, their direction, and their suite of services. Having identified short falls in their attempts to penetrate the market, apply this new knowledge to mold your services and reposition your brand in the marketplace. Successful residential care agencies do an excellent job of bringing families together. Family outreach programs unite families consumed with pursuing their busy lives. Each outreach event is unique having its own creative capacity to stand out from the competition and win the appeal of families. Such programs also provide opportunities to broaden connections among residents, families, and staff. Senior care facilities require modern telecommunications systems to support the needs of the business. Telephone, Internet, and cable television are necessary implements that provide access to communication, promotes social interaction, and offers easy entertainment. Other technologies should include an integrated system with intercom buzzers, public address system, and emergency call systems. 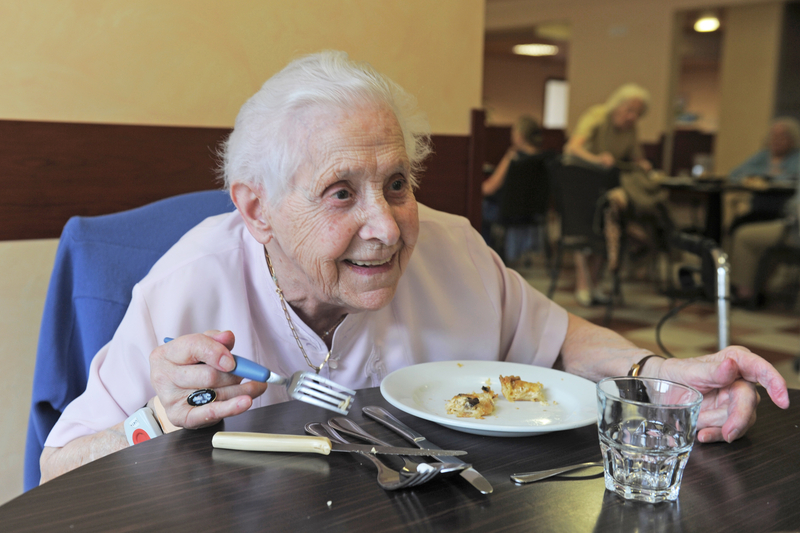 Personalized meal plans target the special dietary needs of the elderly. Often residents are prescribed therapeutic diets to resolve health dysfunctions. In planning meals, it is crucial that your menu meets all health and regulatory requirements. Consult with your dietitian at the planning stage. Breathe new life into your facility every two-to-three years via property renovation. Create a long-term plan to develop brand identity, critical path, funding, and implementation schedule to excite current residents and the surrounding community. Business renovation may also include maintaining clean grounds and attractive architecture equipped with modern conveniences. Offering a higher level of care for seniors who suffer from dementia and Alzheimer’s disease widens the value you provide to families. Services for Alzheimer’s and dementia cases require trained staff skilled in handling residents with behavioral needs. Check with your state Department of Human Services for the level of services you can provide, and the number of nurses required per patient. Related article: HOW DO I GET MORE CLIENTS IN MY ASSISTED LIVING FACILITY? Did you find this article helpful? Feel free to share on Twitter, Facebook, and your other social media accounts by using the super-easy share buttons below!